Dr. Michelle Slagle was raised in Macomb Michigan. She graduated from Life University, Marietta, GA in 2003 with a Doctorate in Chiropractic. 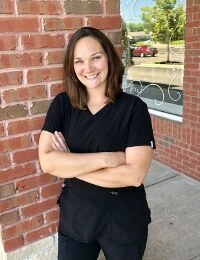 Dr. Michelle was associated with another chiropractor for six years before starting her practice, Slagle Family Chiropractic in her home town of Macomb in 2009. She is board-certified nationally and in Michigan. She is a member of MAC (Michigan Association of Chiropractors) and the ICPA (International Chiropractic Pediatric Association). Dr. Michelle Slagle developed an interest in natural approaches to health care after working as a nanny for a chiropractor. It was through chiropractic she was able to find relief from her long standing battle with TMJ. After chiropractic care, her mother’s carpal tunnel surgery was canceled. It was at that point she decided she wanted to help people reach their maximum health potential without the use of drugs or surgery. Dr. “Michelle” as her patients call her, is always determined, positive and enthusiastic in her approach. She uses a “whole person approach” when taking care of her patients. By combining the very best hands-on-technique, state of the art physiotherapy procedures and providing the newest and best natural vitamins, mineral supplements and cleansing products on the market today. Dr. Michelle is able to help one to accelerate and/or maintain their journey to good health. During her years in practice, Dr. Michelle has taken care of patients ranging from newborn to patients that are 90+ years old. She utilizes many adjusting techniques including Diversified, Thompson, Gonstead, Extremity adjusting, Toggle Recoil, Activator, and many others to fit the personalized needs of her patients. She is board-certified nationally and in Michigan. She is a member of the MAC (Michigan Association of Chiropractors) and the ICPA (International Chiropractic Pediatric Association). Dr. Michelle constantly strives to improve and update her knowledge in the field of chiropractic. She has completed extensive post-graduate study emphasizing the treatment and rehabilitation of whiplash injuries, headaches, neck pain, back pain, pregnancy, and pediatric chiropractic. Dr. Erica Gaitley was born and raised in Grosse Pointe, Michigan. She is a Board Certified Chiropractic Physician who earned her Doctorate in Chiropractic from Logan University along with a Masters of Sports Science and Rehabilitation. Prior to graduate school, Dr. Erica graduated from Michigan State University with a Bachelor’s of Science and a focus in the field of Kinesiology. She was under the care of a chiropractor throughout her very active high school and college years and found herself fascinated by the body’s ability to make huge physiological changes in response to chiropractic treatments. Dr. Erica has a passion for treating aspiring athletes, weekend warriors, or anyone looking to achieve and maintain a high level of health and well-being within their lives. However, she takes great pride in treating non-athletes and families alike. She believes that the body holds an enormous healing capacity that, when paired with chiropractic, allows her patients to continue to do the activities they love to live rich and fulfilling lives. Dr. Erica Gaitley’s mission within her community is to empower as many people as possible to experience their optimal health potential through genuine care and education. She is committed to inspiring individuals to experience improved health and vitality. 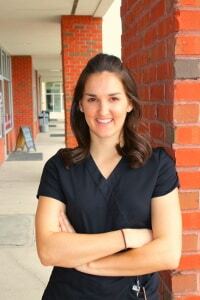 Dr. Erica is honored to be a part of the staff at Slagle Family Chiropractic. Not only does this practice maintain a sterling reputation within the community, but is constantly striving to give their patients the most comfortable, fun and approachable healthcare environment possible. In her downtime, Dr. Erica stays active by running, biking, and doing yoga. Her other passions are reading, exploring new restaurants, traveling and spending time with family. Kelly Kristoff received her diploma for Massage Therapy from Baker College in 2006.She specializes in many styles of massage therapy including therapeutic, relaxation, deep tissue, pregnancy and sport. Before working at Slagle Family Wellness Center, Kelly worked at a Physical Therapy Clinic, where she worked closes with patients healing from sports and auto injuries, and surgical rehab. 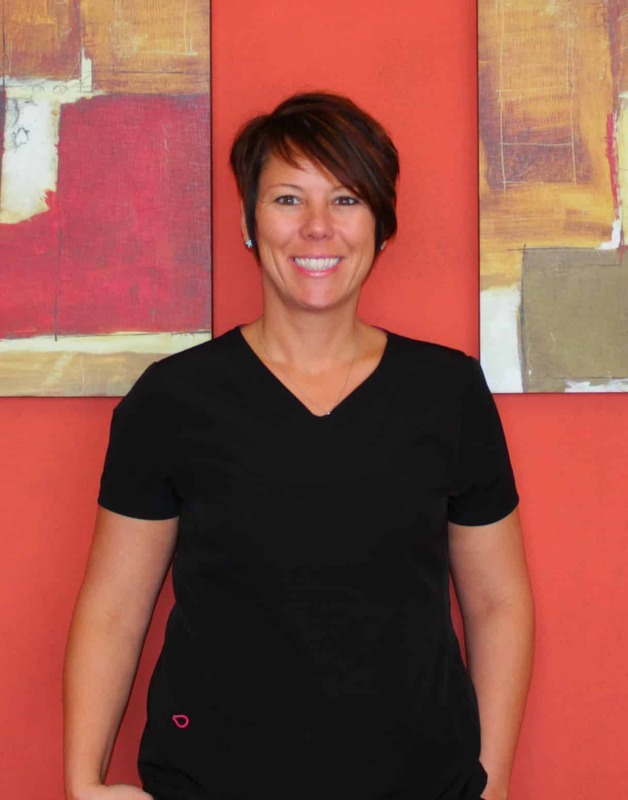 Kelly utilizes her education and years of experience to provide her patients with the best quality massage that can be found in the Macomb Area. Dawn Germonprez is a licensed massage therapist and received her massage therapy diploma from Troy Carnegie Institute in 2002. Dawn is familiar with and specializes in several types of massage modalities which include Deep Tissue, Sports, Swedish and pregnancy massage. Trisha Lesniak is a licensed massage therapist who graduated from Baker College in 2006. Trisha specializes in all types of massage therapies, and uses an intuitive approach to create the ideal environment for your body to unwind. Stephanie is the Office Manager here at Slagle Family Wellness Center. She is a graduate of Oakland University, 2008. She has a passion for patient care, and is here to ensure satisfaction within patient treatment. Helping patients with their scheduling needs, insurance verification, payment options, and treatment management is her expertise. She is here to help! From our doctors to our front desk, we are all here to help!